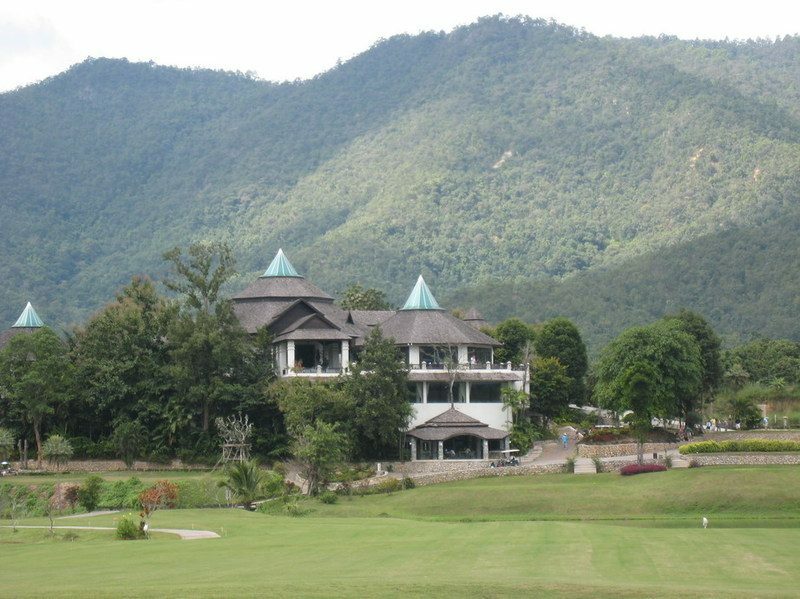 Chiang Mai Highlands Golf Resort and Spa. The clubhouse is modern, but yet tastefully integrated with the surrounding mountains. The newly opened spa is one of the best in Northern Thailand, and the golfer’s rejuvenation treatment is really special. Being owned by the same team as Muang Kaew Golf Club in Bangkok it is of little surprise that the restaurant serves top western food, which otherwise is rare in Northern Thailand. Gassan Khuntan Golf and Resort. The blue domed clubhouse looks like something from outer space in front of the natural surroundings, see photo. However, the multi-floor building is well designed is fully equipped with spacious locker rooms, a well stocked pro shop, and a full service restaurant with outdoor terrace and excellent vies of the golf course and Khuntan Mountain Range. Next up are the golf clubhouses of Hua Hin.